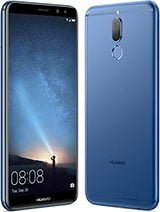 Huawei Mate 10 Lite is premium mid budget smartphone that comes from Huawei Mobile. This device has 5.9 inches Sharp IPS LCD Display with a resolution of 1080 pixels by 1920 pixels. This device powered by Octa Core 2.3 GHz CPU and it’s comes with 4 GB of ram. Huawei Mate 10 Lite packs 64 gigs of internal memory that can be expanded up to 256 gigs. As far as the cameras are concerned, the Huawei Mate 10 Lite packs Dual 16 MP+ 2 MP rear camera and a Dual 13 MP+2 MP front shooter for selfies. Mate 10 runs Android 7.1 and is powered by a 3340 mAh battery. This device price in Bangladesh approx 36,900/- BDT.